Listen to the latest episode of SHAPE platform’s monthly radio show on London’s Resonance FM, hosted by Lucia Udvardyova. This episode features interviews with synth-pop duo Syracuse as well as Belgian singer-songwriter Ignatz. 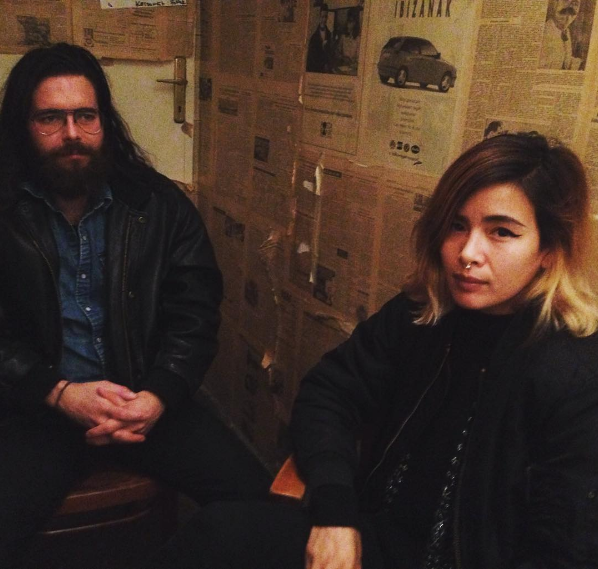 Syracuse is a Parisian duo signed to French label Antinote. The band is renowned for gentle space- age psychedelia and synth-pop, with touches of cosmic disco, early electro and Italo, made on analogue instruments such as 808 and SH-101. An important element of their work are the electric and immersive live shows. We caught up with Syracuse’s Antoine and Isabelle before their gig at UH Fest in Budapest. Ignatz was the name of a vicious mouse in George Herriman’s Krazy Kat comic strip. Ignatz is also the moniker of Belgian musician Bram Devens who used to be a comic artist, but soon replaced the visual world for the sonic one. His music is emotional and fragile, his main instruments being guitar and voice, previously wrapped in foggy effects, now increasingly less so. His latest album, The Drain, is out now on Kraak/Feeding Tube.